Ah, taxes. 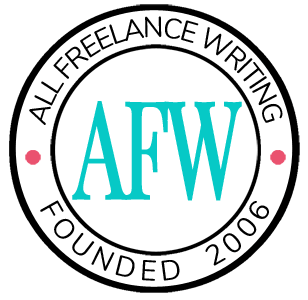 It’s almost all you hear and read about this time of year, but we freelance writers have been thinking about taxes all year long. That’s because we, along with other self-employed workers, are required to pay quarterly estimated taxes to the IRS four times a year: in January, April, June, and September. If you’ve ever paid too little or *gasp* not paid at all, then you know there’s a penalty for underpaying based on the amount you underpaid and how late you end up paying what you we. Here are some tips for making those tax payments with ease. Build it into your budget. Hopefully, you’re using a budget (it’s a financial lifesaver). One of your budget line items should be estimated taxes. Even though you pay quarterly, it’s a good idea to set aside money for your taxes monthly, bi-weekly, or however you get paid. It’s much easier to save for taxes little by little than to come up with the entire quarterly amount in one lump sum. Think in terms of “net income”. When you work for another business, your employer withholds taxes for you. After a paycheck or two, you get used to your after-tax income and adjust your spending accordingly. Do the same for your writing income. For example, if you make $3,000 a month, you don’t really have an entire $3,000 for housing, food, bills, etc. because some of it needs to go toward taxes. If you plan all your expenses up to that $3,000 number and don’t include your estimated taxes, you won’t have any money to set aside. And it doesn’t get easier to catch up as the year rolls along. Save a percentage of each payment. One way to save for taxes is to take it off the top from every payment you receive. So maybe 85% goes into your primary checking account and the other 15% goes into an account that you’re using to save for your estimated taxes. Say you get a $500 payment. You’d keep $425 of it for non-tax spending and the other $75 goes into a tax savings account. Do this consistently with every payment, big or small, and you’ll better afford your taxes. Dedicate some projects or payments entirely for taxes. Another option is to sweep entire payments into your tax savings account. For example, you may put all your smaller projects, e.g. $25, $50, or $100 payments, into the tax savings account. Or, if you do a project that pays about same amount that you need for your taxes, you can take care of your tax responsibility in one fell swoop. Since you can estimate what you must pay for taxes the entire year, you can always frontload your tax account by saving up an entire year’s worth of taxes as quickly as possible. Then, live comfortably the rest of the year once your tax savings is completely (just don't forget to actually make the payments). Make sure you revisit your estimated tax calculation if you end up making more money than you expected. If you miss a quarterly tax payment or you end up owing more money at tax time, it’s not the end of the world. The IRS will just charge you a penalty fee. However, it can be tough to get caught up on taxes since you continue to owe tax as you make more money. Don’t forget to factor in your state taxes, if your state has an income tax. What tricks do you use to save up your estimated taxes? LaToya, I do it slightly differently. I pay per check. As the check comes in, I take 15 percent right off the top and pay it immediately. I love that payments are now electronic — it makes it so much easier to pay the taxes right away. That’s an easy way to do it. It’s already out of the way and you’re not tempted to spend the money on something else. Great tips, LaToya. You are so right to suggest you do it as you go along. Somehow that money never seems to be there if you wait. Yep. It has a funny way of sneaking off if you’re not careful! My CPA recommends I pay estimated taxes so I save a percentage from each writing project for taxes. Thanks for the tips, Latoya 🙂 For every cent I make I set aside a percentage for taxes, immediately. I find this works well for me.